Our first trip to Thailand and Amelia's 29th flight in 2013. She finished the year with 32. Our first Thai meal in Thailand did not disappoint. 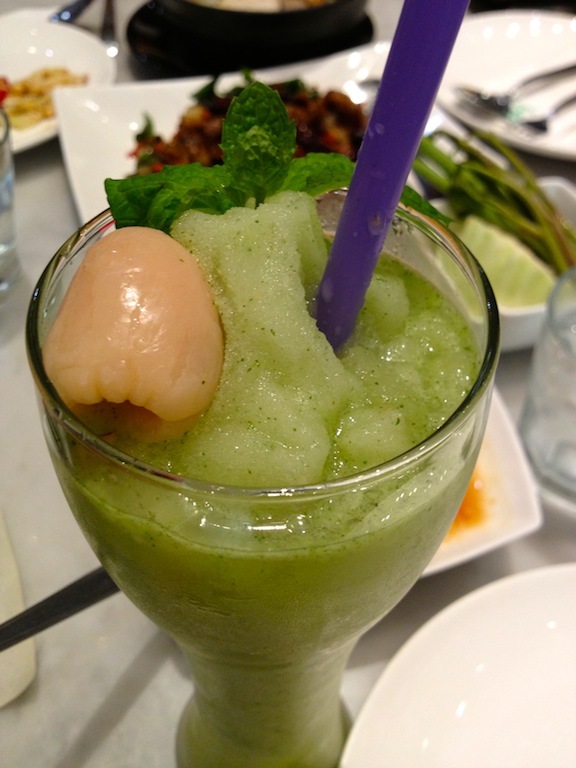 My latest obsession is lychee mint! I'm salivating just looking at this picture. Aaah, I want one now. Detour on our way to the lobby, checking out the swimming pool. Amelia with Yaya Gina and Loli Ninang. Still waiting for the taxi.